Approximately 10,000 Dolpo people live in the Karnali Zone in north-west Nepal, all the way up to the border between Nepal and China. This has led some to speculate that the Dolpo may also be found inside Tibet. The Dolpo inhabit the villages of 'Goomatara, Kola, Tachel, Kani, Bajebara, Laun, Chilpara, Bantari and Byas ... beyond the mountains west of the upper Kali Gandaki River valley.... [The Dolpo] live in about 24 villages scattered over 500 sq. miles in Namgang, Panzgang, Tarap and Chharbung subdistricts.' Dolpo people also live within the Dhawalagiri Zone, west of the Loba people. 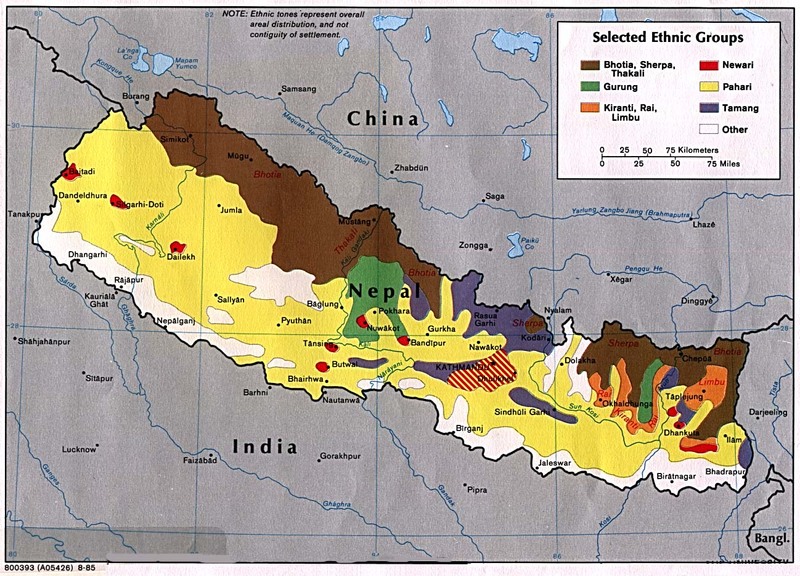 The name Dolpo comes from Dolpa—the historical name for their area. Most Dolpo people these days have settled down in permanent villages, but some continue to lead a nomadic existence, travelling around with their herds ten months every year. The Dolpo villages are situated between 3,660 and 4,720 metres (12,000 to 15,500 ft.) above sea level. 'The terrain is rather bare, with almost treeless grassland valleys, which take on a colourful luster in July and August with a carpet of bright alpine flowers. The rough stone houses of Dolpo are all clustered into a narrow space, making the villages look like forts. Some of them are probably among the highest human settlements in the world.' The Dolpo say it takes seven days to walk from one end of their region to the other. There seems little doubt that the ancestors of the Dolpo originated in Tibet, before coming south in search of better pastures. They have been in Nepal now for many centuries, although they still retain many of their traditional customs and oral legends of their long migration. 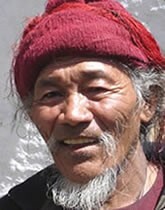 The Dolpo are regarded as the original inhabitants of their region. Severe winter temperatures have made the Dolpo a hardy people. Their houses are built with no windows at all, as every inch of insulation helps them survive the brutal weather. Ceilings are built low to the ground to retain warmth. Cattle and other animals are housed in the ground floor during the winter months. In the mid-1990s a missionary organization noted, 'This group is totally untouched with the gospel. They still have no written language or Christian literature. There are no known Dolpo believers. In order for a church to be established within this people group, there must be a movement starting with the village leaders and working down from there. Because of their culture, it will do little good for a few individuals or young people to accept Christ.' Since that time a few Dolpo people are known to have started following Christ, but this group remains in great need of the gospel. View Dolpa in all countries. Location in Country: Approximately 10,000 Dolpo people live in the Kamali Zone in north-west Nepal, all the way up the border between Nepal and China. This has lead some to speculate the Dolpo may also be found inside Tibet. The Dolpo inhabit the villages of Goomatara, Kola, Tachel, Kani, Bajebara, Laun, Chilpara, Bantari and Byas...beyond the mountains west of the upper Kali Gandaki River valley.